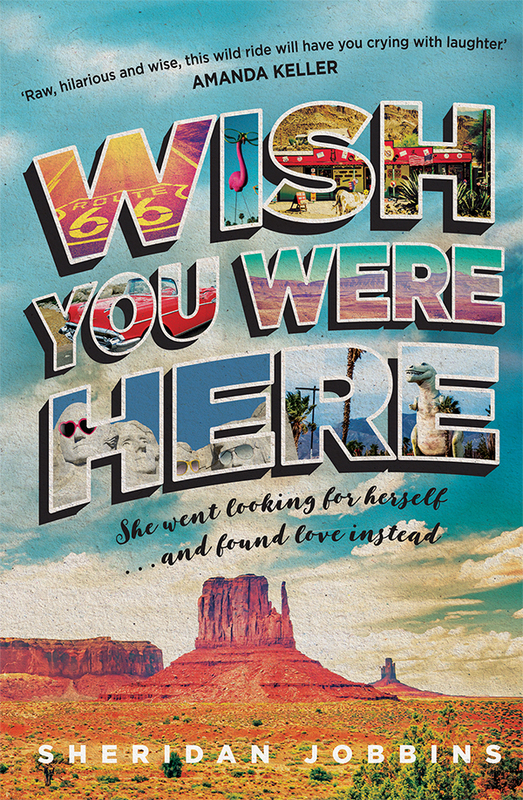 Raw, sharply funny and heartfelt, Wish You Were Here is a girl’s own adventure with bite, a rollercoaster ride that will make you itch to hit the road with this irresponsible and irresistible adventurer. Reeling from the collapse of her marriage, and after a late night enjoying smashing her china a bit too much, Sheridan Jobbins decides she needs to do something drastic — so she buys a shiny red car and drives across America. Hopelessly unprepared and heartbroken, she sets out on the road trip of a lifetime determined to find herself. Ironically she finds love instead. But not before a whole bunch of crazy adventures and wrong turns along the way . . .